So WTF is a Bothan and how many of them died to bring us the plans for the second death star.? Did you know they were furry dog/horse/cat like people? There’s a lot of non-canon information about Bothans, so we’re getting right down to it. Bothans (pronounced /'bɑθɪn/) were furry mammalian anthropoids, about 1.5 meters tall. 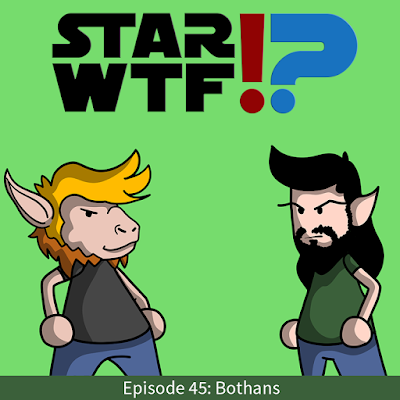 Hailing from Bothawui and several colonies, Bothans differed in facial appearance and body structure with canine, feline, and equine features. They were known for being master politicians and spies, craving intrigue and subterfuge.